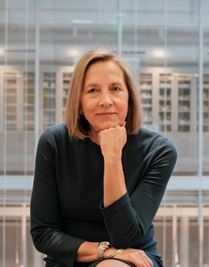 Listen to our question-and-answer call with Donna Hicks, PhD, an associate at the Weatherhead Center for International Affairs at Harvard University. As a conflict resolution specialist, she has facilitated diplomatic efforts in the Middle East and other high-conflict regions. She is one of the world’s leading experts in the study of dignity. Her latest book is Leading with Dignity: How to Create a Culture That Brings Out the Best in People. Thanks for stopping by. You’ll also receive a complimentary subscription to the eMentorCoach News, our monthly enewsletter, and can opt out at any time. Your privacy and email address are safe with us. Leading with Dignity teaches us what every leader needs to know about dignity and how to create a culture in which everyone thrives. This landmark book from an expert in dignity studies explores the essential but under-recognized role of dignity as part of good leadership. 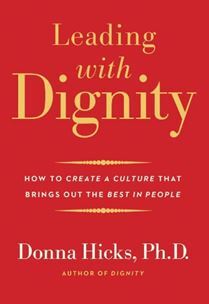 Extending the reach of her award-winning book Dignity: Its Essential Role in Resolving Conflict, Donna Hicks now contributes a specific, practical guide to achieving a culture of dignity. Most people know very little about dignity and when leaders fail to respect the dignity of others, conflict and distrust ensue. (3) How one can create a culture of dignity in any organization, whether corporate, religious, governmental, healthcare, or beyond. Brimming with key research findings, real-life case studies, and workable recommendations, this book fills an important gap in our understanding of how best to be together in a conflict-ridden world. Dr. Donna Hicks is an Associate at the Weatherhead Center for International Affairs, Harvard University. Dr. Hicks was Deputy Director of the Program on International Conflict Analysis and Resolution (PICAR) at the Weatherhead Center for International Affairs at Harvard University. She worked extensively on the Israeli/Palestinian conflict and as a member of the third party in numerous unofficial diplomatic efforts. In addition to her work in the Middle East, Dr. Hicks founded and co-directed a ten-year project in Sri Lanka. She has also worked on the conflicts in Northern Ireland and Colombia and conducted several US/Cuba dialogues. She is the Vice President of Ara Pacis, an Italian non-governmental organization based in Rome. They are currently involved in a dignity restoration project in Syria and Libya. Dr. Hicks was a consultant to the British Broadcasting Company where she co-facilitated encounters between victims and perpetrators of the Northern Irish conflict with Archbishop Desmond Tutu. The encounters were made into 3 television programs, Facing the Truth, which were aired throughout the United Kingdom and on BBC World. 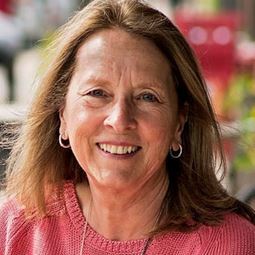 Dr. Hicks has taught courses in conflict resolution at Harvard, Clark, and Columbia Universities and conducts trainings and educational seminars in the US and abroad on the role dignity plays in healing and reconciling relationships in conflict as well as dignity leadership training. She consults to corporations, schools, churches, and non-governmental organization. She is the author of the book, Dignity: It’s Essential Role in Resolving Conflict, published in 2011 by Yale University Press. Her second book, Leading with Dignity: How to Create a Culture That Brings Out the Best in People, has just been published by Yale University Press.